CPS Camp No. 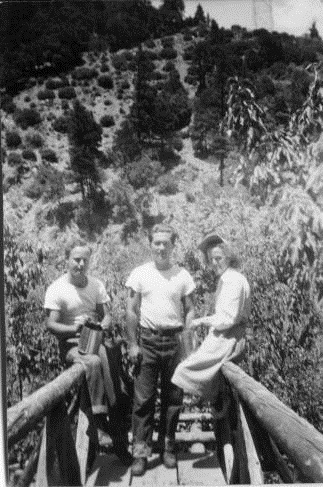 134, a Forest Service unit near Belden, California operated by the Brethren Service Committee, opened in May 1944 when the Santa Barbara CPS Camp No. 36 closed. 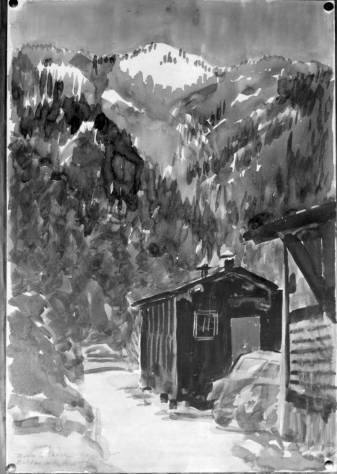 The Belden camp continued until May 1946. Men fought fires, maintained and repaired equipment and performed fire prevention duties. 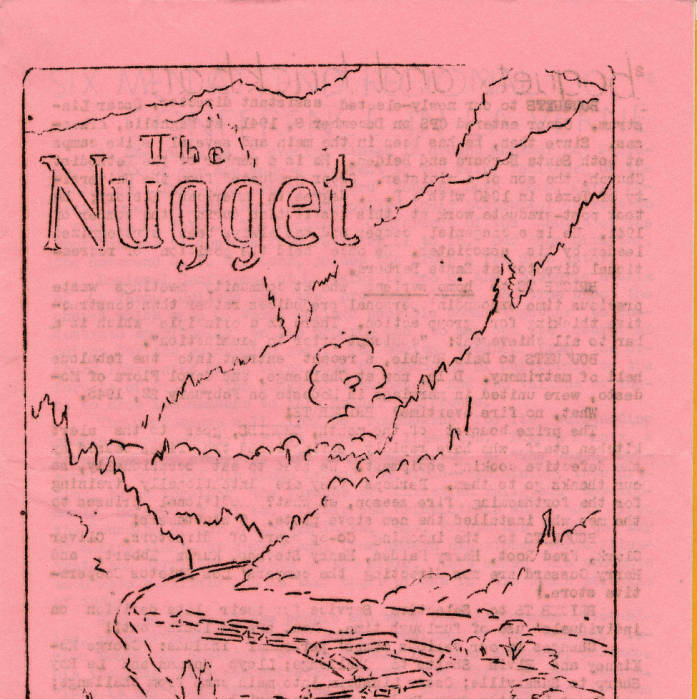 The Nugget was a newsletter published by the men in Camp 134 in 1944 and 1945. Painting of a mountain cabin by Waldo S. Chase titled "Belden"
Dan Force, William and Dorothy Stafford picking berries near Camp 134.